If you haven’t been to Buffalo River Race Park in Glyndon, MN this season… you’re missing out! The improvement they’ve made to the facilities is awesome! And the car count was huge for a Sunday night race. We were there tonight supporting the Red River Kart Club and our daughter Gwen. 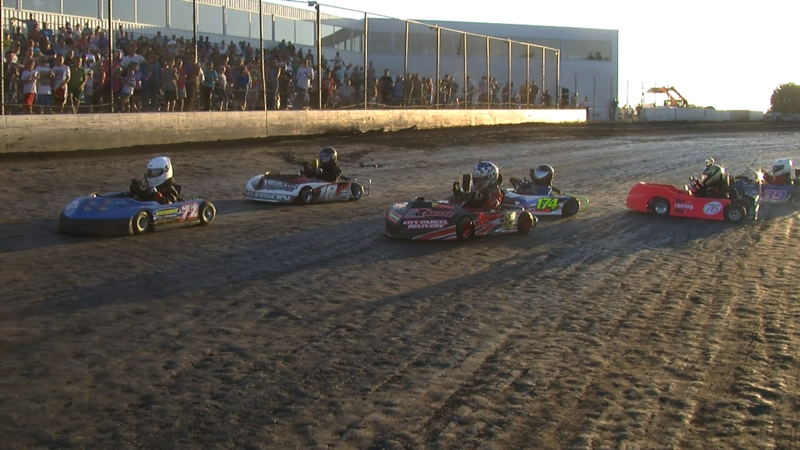 (She’s in the pink kart) The Kart Club was invited to run an exhibition race at intermission and the crowd and the kids had a blast! The Racing Life is proud to support the future of racing and we’re thankful to BRRP for allowing us to come out.